Back in December 2004, well before I had even dreamed of e-readers, I bought Susanna Clarke’s Jonathan Strange and Mr Norrell and Alan Hollinghurst’s The Line of Beauty at Heathrow Airport, to take with me on holiday to Antigua. I read the latter (and disliked it; I then reread it several years later and completely changed my view, to the extent that I became quite smug about my own humility) but not the former, all half a ton of which I lugged from the UK to the US to Antigua and back again, only to read it in the comfort of my own home a few months later. I have a fairly woo-woo idea that books come to us in their own time, and I certainly got a lot more out of JS&MN when I did read it, at a time of quite seismic life changes (relationship ending, leaving my job and my house and my country to go and live in Sudan for the first time): there’s one line in particular, towards the end of the book, that was so resonant for me that, distressingly, when I met Susanna Clarke at the Cambridge Book Fair shortly afterwards, and was importuning her to sign a scrap of paper from my Arabic notebook, I actually teared up when telling her how much the book had meant to me. Horreur. JS&MN is not Cuckoo Song and Susanna Clarke is not Frances Hardinge (if she were, she’d be a damn sight more prolific, she muttered disconsolately), but I mention all of this is because Cuckoo Song is hands down the best book about faerie I’ve read outside of JS&MN, and in fact I’ve found myself assuming the two books share the same universe (indeed, in my head, Significant Character from JS&MN is the same as Significant Character from Cuckoo Song; apologies for spoiler-averse coyness but if you’ve read the books perhaps you will know what I mean). The merciless amorality and blasted humour of faerie as depicted in Cuckoo Song is a bold choice for what claims to be a children’s book, but I guess that children are tougher that adults tend to assume, and certainly more comfortable with cruelty. 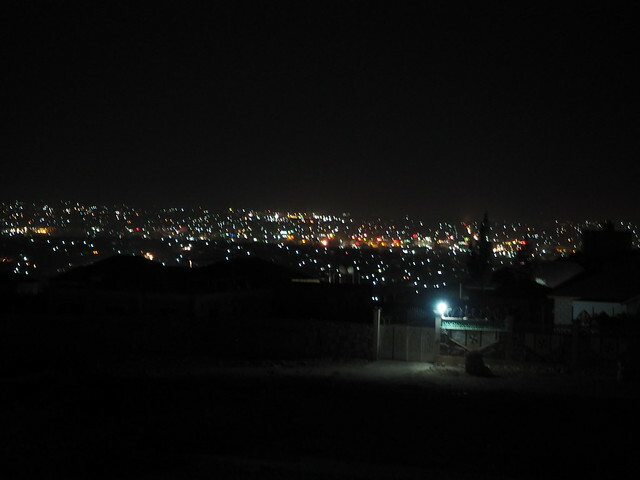 Mogadishu again, or still. Hard to tell whether security is getting worse, or whether it’s just a blip. Meanwhile, however, I have had the chance to eat barbecued shark for the first time in my life, so there are always positives.